No time for OGF: What "future" for my countries? Some of the "older" users may have noticed that I practically do not make any progress in developing my countries of Kalm, Garlis, Ísztianország, Erfeldia, and Ventria in OGF. The main reason for this is that due to family life I have much less time for my hobbies since the end of 2017. Also, when I have free time (which I still have, of course, fortunately) I try to be "AFK" as much as possible. My whole professional life I spend in front of the computer and my geofiction work is also focused on digital work since 2009 (before that, I spent hours and hours to create hand-drawn fictional maps). To make it short: To be consequent, I would have to leave the OGF community and close all my countries. But on the other hand I know that it would be a pity to disctontinue my work in OGF. Interesting, but many of my cities and regions are finished in my had (and a bit on paper), so opening it all up to the community would not feel good for me. It would mean that I would have to create collaborative territories with "very strict rules" and that I would have to spend much time in coordinating other users' work to fit into my "plan" for the countries. Also interesting. I could give up Ventria, Ísztianország, Erfeldia, and parts of Garlis. But also here I have the problem that I have a strong image in my head of what these countries should look like. I really cannot imagine these territories to be taken over by some of the "motorway maniacs" or, more generally, the "infrastructure maniacs" in the OGF community. And there are far too many users, in my point of view, who "build" an unrealistic and too dense grid of all types of infrastructure and not enough users who follow the "dare to have gaps" principle in OGF to make eveything more realistic. E.g., some of my countries, like Ventria, have a very small motorway network in relation to the country size - and in my head this is part of the countries' identity. 4) Give it all to someone else with the same "mapping style"
Maybe good and my favourite solution. But quite unrealistic, I think. It seems not possible to find someone who would map everything in the same way that I would to (except with a large amount of coordination work, which is also not possible for me). 5) Make a backup of all my OGF work and turning my countries into "free territories"
To be honest: Also an interesting solution for me. Maybe the new owner(s) of these territoires would find it interesting to not erase my work but to build upon it, maybe even contact me from time to time to know about my ideas for certain regions (which of course I cannot expect because "free territory" is free...). An option, but this does not fit to the OGF rules. It would also be "unfair" if I would be granted this opportunity only because I was one of the first users in OGF and other users would lose their territory only after a few weeks of inactivity. Also, it's possible that my "return" to OGF would take more than a decade. I'm happy to have your opinion about this issue as it is quite important for my - and for the OGF community in general, because without my work a large part of western Uletha is currently "blocked". Kind regards - and as always: happy mapping! Darsons: What is your opinion? Darsons in Commonia was a small college city with a population of around 150,000 when I created it a few years ago. What happened since then? It has been relocated to the northern part of Commonia and turned by about 130 degrees (this is why there still are some "East" and "West" errors...). And it has been heavily modified by other people (which is allowed, of course, as we're in a community territory). But: The goal is always to create realistic places. And Darsons is no longer realistic! Some "motorway maniacs" put too many freeways around this small town. And "puplic transit maniacs" set up a light rail network that is much too large for a city of that size. There is a large metropolis only 20km from Darsons: Thompson. 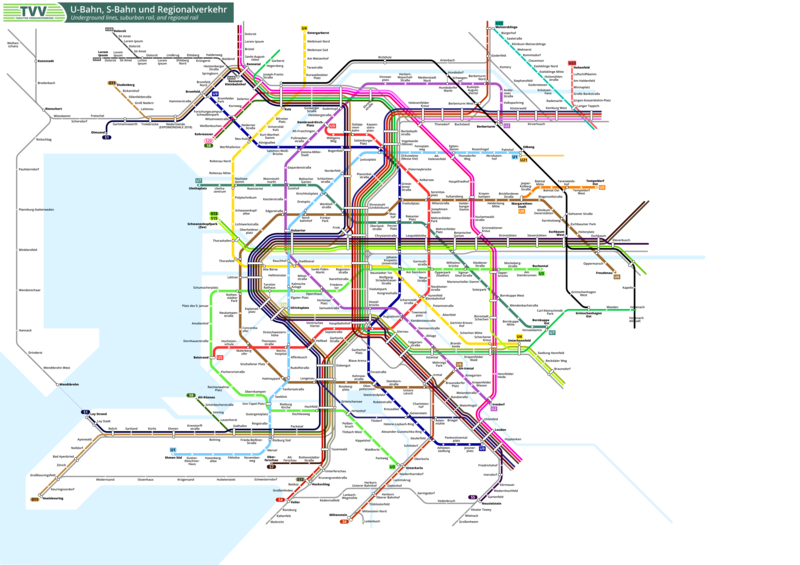 There, a heavy freeway network would be justified, as well as a light rail/metro network. There is an international airport for Thompson. So why did someone creat another one for the small city of Darsons? I know, it is Commonia - but it simply annoys me that a nice city has been destroyed in such a "childish" way. What do you think? Should I just let it stay as it is, modified by "Commonia effects" and as "unrealistic" as many other places in Commonia? Or do I have the "right" to delete some stuff that certainly does not fit to this city? Thanks for your feedback! somehow and never manage to finish my "sub-projects" in OGF. During my parental break I found some smaller time slots to start the Tarott region public transt network map. I managed to draw a large part of it, but soon I realized that it's too much work to finish before I have to go back to work. I will try to map a little bit further during the coming months, but I don't know if there will be much time for it. I noticed that some of you use capital=yes even for capital cities on sub-national level (examples: Pretany and Suriya). I think we could achieve a better OGF map display in smaller zoom levels if everyone sticks to the correct capital tagging principle: capital=yes only for the capital on national level, other capitals on sub-national level tagged capital=4 or capital=[other admin level]. Thank you! in March there was a first call for participation in the Tarott EXPOMONDIALE 2018 world exhibition, see here: Tarott EXPOMONDIALE 2018 world exhibition - Choose a parcel of land for your nation's pavillon (please note the the list of participating countries isn't 100% complete anymore). So here's a second call. Just apply for your favourite plot and give a theme for your nation's pavillon (see link to first call above for details). Also, I'm looking for a designer of the overall exposition ground concept. If you want to apply, just send me a private message and link to a comparable area (exposition/fair ground etc.) that you have developed in OGF. Looking forward to receive your applications! If I get interesting applications by then, I will choose the EXPOMONDIALE 2018 masterplan designer before Christmas. PS: If there are more applications for plots at the expo grounds than parcels currently available, I will add more plots by extending the expo area. It was my goal to finish the city of Siuvna in Garlis before mid-october, the whole city and suburban area up to the "everything-but-buildings" level of detail. That's because this is the start of a period where I have only very little time for OGF. However, I did not succeed. But that's not too bad, I like the city very much so far (not everything, but the majority). What do you think? There's one important language issue: Garlis was supposed to be Romanian-speaking, but things developed a bit differently and it seemed more logical that the "homeland" of Romanian in OGF is Antharia. So user @stjur supposed that the Garlian language, which is his creation, might be some type of "Proto-Romanian" - and I liked this idea very much. The problem was (and still is) that I don't speak Romanian and I'm also not good at imagining a "proto-Romanian" language, due to my missing knowledge of Romanian language evolution. So here I want to thank @stjur for his help with naming streets and squares and all the hints he gave me for the language. At least the place names (towns, cities, villages, suburbs) are almost all my own creations. I have to reduce my mapping time in OGF during the next months, but I hope that I can spent an hour or two from time to time. When did the name "Uletha" come up? Already in 2010 I imagined the continent around Kalm, where the cities of Forberg (the first city I developed in Kalm) and Tarott are located. It took a while until it got its name, but it must have been at some time in summer 2010 that I found the name, together with a good friend of mine. We wanted to find a nice name, starting with a voal, but not with A or E (and yes, maybe also not O) :) and we both liked "Uletha" as a continent name. "Ulethaplatz" metro station of U7 metro line in Tarott was the first appearance of the name on the map, before the start of OGF. (See also this very old and bad quality version of the original Tarott map). Later, I called the old harbour re-development area around Ulethaplatz "Ulethastadt". In summer 2013 I sketched the first version of the Uletha outline in OGF, and Thilo did the other continents of the old world (I liked his ones a bit more, Uletha is in some points a bit too close to "Eurasia"). Before the OGF Uletha outline sketch I only had had a very rough idea of the north-western part of the continent. So, this is how the name developed. I just wanted to give you some details here. Surprisingly I was the winner of last week's "Weekly Word" challenge, although "military" is not really a subject I focus on in OGF. As niels20020 mentioned, the winner will from now on have the right to announce the next weekly word. Looking forward to receiving your entries. Please comment and mention your creations that in your point of view fit to the subject. Deadline is next Saturday 18:00 GMT. PS: @niels20020: The Weekly Word "mini challenge" is a very nice idea, in my point of view. Thank you! Like other people, I sometimes struggle with problems in my imaginary countries that lead to the question: Is it already definite or can I still change something? Normally, when I have drawn an area up to a very high level of detail, I leave it as it is, of course. But what with roughly sketched structures that were only definite in my head but did not appear on the map yet? I allow myself to change them, even heavily, if there's a special need. For Tarott (map) I definetily saw the need to change something very elementary. As it is an old city that survived many wars (even after heavy destructions) and as it was founded thousand years ago (maybe even more), it needs to be in a protected location. An open bay directly at the West Sea did not seem logical at all, finally. It feels much better now. :) And at crucial points, I'm going to build some old fortifications (or ruins of fortifications). only a bit more than one year left until the Tarott EXPOMONDIALE 2018 world exposition will open! The nation of Kalm and the city of Tarott are glad to host this international event and to welcome all other nations of the world with their own pavillons and exhibitions. The motto of the world exposition will be "Smart digital and analogue future of our world". Participating nation's are invited to present concepts showing newest oder planned digital solutions in any interesting domain for their nation, but also to answer the question how people can participate in daily life in the future without being dependent of their own digital devices. OR: if any plot of land is okay for you, just write something like "any plot is ok"
OR (EDIT 27/03/2017): If you think your country is to small or doesn't have the money for an own pavillon, consider having a smaller exhibition in a shared pavillon and just write "shared pavillon"
OPTIONAL: the planned title for your nation's exhibition. I will collect all wishes and publish a list of selected plots of land around easter. Afterwards I invite you to build your pavillon in the respective plot (or I will build it myself, in case you prefer it). If there is more demand than parcels of land prepared at the moment, the area will be extended. Looking forward to bringing the EXPOMONDIALE to "international" life. Are you missing important countries? Maybe collaborative ones like Gobrassanya? Other well developed contries that should definetily by present at TEM18? Feel free to invite other people to apply for a pavillon for Tarott's Expomondiale! TEM18 is still open for applications! This diary entry by tule00 (@tule00: Thank you!) led to my detailed reflection of how to find good names for large cities in Kalmish (= German) language. The most dificult thing is always to find out what names "sound" like names for large cities in a specific language. For example "Hamburg" is Germany's second largest city, but "-burg" suffix can be found in village, town, and (large) city names. So, with "-burg" names you're on a quite safe side when naming large cities or small towns in "Kalmish" (German) language. But what about "-dorf"? It means "village". So, it is used for villages and small towns only. With (at least) one exception: "Düsseldorf". Everyone in Germany has a large city in mind (capital city of North Rine-Westfalia) when hearing this name, although if you look closely, it is the name for a village. :) What about "Berlin"? In fact, the name of Germany's largest city, but there are countless smallest villages in Germany with "-in" suffix. Same with "München" (=Munich"), Germany's third largest city. In Kalm I used some suffixes from the real German language when naming large cities (e.g. Vennburg, Kemburg, Forberg). Then I invented some special Kalmish suffixes like "-rott" (Tarott, Bilrott) or "-ent" (Orlent, Korlent), which in my point of view sound like large cities. My (the Kalmish) capital's name - Nerschach - sounds like the name of a large city to me, as I'm used to this name. However, a good friend of mine heard this name for the first time and said that for him it really does not sound like the name for a large city. This lead to my research of names with this suffix in German place names. Although "-ach" suffix is very common in the southern half of Germany and in many cases derives from names of small rivers or streams, "-schach" suffix isn't very common. Especially the case of "sch" belonging to the suffix (which often is not the case like in "Eschach", for example) is very uncommon. My friend had Rorschach in mind when hearing the name "Nerschach", indeed, a small town with about 10,000 inhabitants next to Lake Constance in Switzerland. I assume that here, the full suffix is "-schach", as the original Mediaval name was "Rorscahun" (but I'm not 100% sure). I like the name "Nerschach" and of course I will stick to it, but I have to develop the history of the name. It is clear that in Rorschach, like in Andernach, one of the larger German places with "-ach" suffix, the name does not come from a river or a stream. So I have to decide: Do I want the name Nerschach to come from the small river crossing the city or is it nicer to have another history? What do you think? One other thing: For me it is always a funny experiment to translate names of large cities in other countries to German and see if it still sounds like a large city - or like the name for a city at all. "Los Angeles" -> "Die Engel", is this really a city's name? :) "San Francisco" -> "Sankt Franziskus", sounds more like a small village in the Bavarian Alps. "Salt Lake City" -> "Salzseestadt", not very creative, but we have at least one town with the same level of creativity in Germany ("Eisenhüttenstadt" -> "Iron Works City"). "Rio de Janeiro" -> "Januarfluss", also quite funny for a large city. "Buenos Aires" -> "Gute Lüfte", funny, and certainly not true for many places in Argentina's capital. "New York" -> "Neu-Jork", sounds like a new extension of the small town of Jork west of Hamburg, cultural center within "Altes Land" apple and cherry orchard area. :) And so on. Of course, it is a bit mean to compare our European old names (which often are in fact quite uncreative when you look at the origin) to names in the "New World", where the uncreative origin is still visible. On the other hand: From a certain perspective, it is very creative to name cities "Los Angeles" or "Buenos Aires" etc. I hope you will have (or had) a good start into the new year! Here's my last addition to OGF in 2016: The town of Henlauch in the south-western suburban region of Nerschach, the capital of Kalm. Looking forward to many new places in OGF in 2017! Inspired by Luciano's Mapper's Challenge #6 - September, 2016 - GETTING AROUND, I started creating the metro line (U-Bahn) relations for the city of Tarott. Well... I started, at least. Inbound southern part of U1 and outbound direction of the same section. Oh, and there's one more important thing that I wanted to show (even though unfinished as well). Tarott hosted the Pancontinental Games in 2008 (Geolympiad, in OGF language, but I refuse to use this name due to an obvious real world reference). And here's the incomplete Tarott 2008 Summer Pancontinental Games venues list. Enjoy browsing the venue locations! It's written as a "proposal", as if there would be a competition. But I think everyone agrees that it's OK to add Tarott for the 2008 Games as a fact to OGF world history?! Best regards and happy mapping! @Luciano: And of course, names are very important to me, as you can see within the already detailed sections of Tarott. So, yes, I was inspired by your Mapper's challenge #5 as well. Ventria (Wiki and map) is a small land-locked state that I recently "cut out" of Estiansian territory and turned to a separate state. In Tarott (Wiki and map - bad mapping quality due to old vector imports), Kalm, there is a large Ventrian community and also a "Ventrian quarter" (Ventrisches Viertel) that has its own S-Bahn (suburban rail) station. Tarott was designed before OGF started and I came up with some cultures surrounding Kalm. And now I found a place for the Ventrians. But: I haven't any names yet for cities and other geographical features - and I didn't decide what official language Ventria has. So my question is now: What language for Ventria? What is your opinion? It is surrounded by many Ulethan ("European") languages, Kalmish (German), Estiensian (Hungarian), Garlish (Romanian) a bit further away, Franquese and Vinnish in Vinnmark, Welsich (a bit like Dutch?) - there are many more, as you know can find out using the map. I'm open for any language, but probably a Ulethan ("European") one would be great. Of course, a fantasy language "between" other European languages could also be nice. Or Ventria could have an official language that is spoken in Europe but not the "main official" language of any country. So, after many weeks or even months of almost no activity in OGF (lack of time, unfortunately) I came back now and continued drawing using my "mapping here and there" strategy. This time I focused on Borwald mountain region within Borwald-Oberstresien federal region. Although I wanted to stick to "zoom level 9 features" (forests, main roads and motorways, railways, rivers and other water bodies, town names), I finally added the whole general city structure for the city of Melonn with general landuses, main roads, railway stations, and the two-line tramway network. I have the goal of filling up the whole country of Kalm with "zoom level 9 features" until the end of the year. I'll see if I can manage, there's still a long way to go, especially with my tendency of jumping into larger zoom levels at some point. Did you ever consider using Decimal Time for your imaginary country? I'm seriously considering to use it. Because our 7 days/24 hours/60 minutes/60 seconds system is simply ... stupid. Ok, partly my personal point of view. A while ago I described my (new) here-and-there mapping strategy. I still like it, jumping from small-scale general landscape design to large-scale details. Here's one more example for the "details" part of it: Grümer Peninsula including many details for the small town of Elzburg, which is located at one of the northern termini of Rekant S-Bahn (suburban rail) network. As I did some mapping of planet Earth during the last week (read here what planet Earth is, if you don't know :) ), I temporarily set JOSM to connect to the OSM server. Actually, I mapped all buildings with housenumbers and special addresses in Keitum, Sylt island, Schleswig-Holstein, Germany. See my blog entry at OSM. But finally, after a bit of late night work yesterday, here it is now, the small coastal town of Brenta, Assen canton, Nordland region, Republic Kalm. Altenwildbad - or: my "mapping strategy"
a few months ago I posted a question here: What is the best mapping strategy when you (unfortunately or luckily?) have selected a territory that requires more than a lifetime to fill it up with a satisfying level of detail? Starting in one or several points (e.g. cities) and draw up to a high level of detail within a few selected places? Or the "other way round", very sytematically start from a very low zoom level resp. level of detail (rivers, lakes, railways, motorways, main roads, forests resp. mountain ranges) for the whole territoy and then become more detailed step by step? Well, the general response was: Do it as you like! But the way I did it way unsatisfying for me: Drawing one city in a high level of detail, getting tired of it before it is finished, stepping over to another one, then, in between, trying to fill up some regions with the general features in a nice way... Nothing seemed to be finished. Now, I have found a good way (for me): Drawing a certain region with even more than just the general features , so that it looks nice up to zoom level 12 approximately. Then, randomly, draw certain places up to a high level of detail. Thus, when browsing my part of the map, you will discover some places with interesting details and some regions with (hopefully nice) general featueres. I'm doing this righ now for my region of Kelmtal-Borgenland. So, if you wish, have a look at the randomly chosen and (quite) detailed place I have drawn today - Altenwildbad - and then zoom out a bit and have a look at the general layout of the region. Renaming the third largest city of Kalm: Suggestions? The third largest city of my country was called "Pern" so far, which I never really liked, because it sounds like a stupid mixture between "Bern" (capital city of Switzerland) and the Russian city of "Perm". Now I have renamed it to "Preburg" (at least within the wiki), which sounds nice, I think - but it's a quite boring name. So: do you have any suggestions for a nice German name for the city? I want "P" as the first letter. :) The rest is completely open. But it has to be a nice name, adapted to an important large city with almost 2 million inhabitants. I feel that I can still change the city name because I have only drawn some basic features yet.